There is a wealth of free resources available online which can be used to manage the classroom. Here are just a few of my favourites. Tools such as ClassDojo are great for making students alert and keeping them on task. Teachers can use this app to give students realtime feedback while in class and Parents can now view their child's progress via the ClassDojo app via a special invitation code. The latest version of ClassDojo now includes a Timer and can also be used as a "Random Name Picker" (See below). Visit ClassDojo.com to find out more. Timers can be put to good use in maintaining pace in lessons, helping students keep focused and encouraging time management and there are many timers that can be put to good use using your Interactive Whiteboard. There are also articles on the web which talk about how timers can be utilised in the classroom, for improving pupil learning and behaviour. 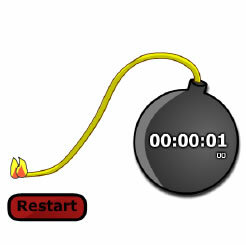 Visit Online Stopwatch.com for a host of free downloadable timers. Can be a great way of keeping students on their toes or livening things up. 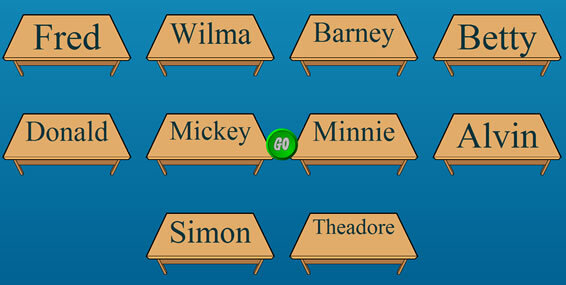 Simply add your students names to the generator, press GO and the generator will pick students at random for you. Once you have created your list of student names, you can save the list for later and have separate lists for each of your classes. Note: All resources are provided as is. Any material which may infringe copyright has been removed. Should any content have been uploaded in error, please contact me and it will be removed as soon as possible.